The Merchant Kitchen & Drinks is proud to be working with Sky 8 Shrimp Farm out of Stoughton, MA, about a half hour from the restaurant. There are many reasons why I am excited to be working with them. After trying a small sample, I quickly realized that these shrimp were the most delicious that I have ever had. It is also the first organic shrimp farm in the history of New England, and only the eighth shrimp farm in the United States. I also grew up in Stoughton, so it feels great to support an amazing business that is thriving in my home town! I know that buying farm-raised shrimp is somewhat contradictory, as my last blog entry was about how we try to buy only Dayboat wild fish, but this is one of those exceptions I mentioned. These shrimp are farm-raised; however, they differ greatly from most shrimp farms around the world. First of all, the shrimp are fed an all-natural diet free of antibiotics, growth hormones, and chemicals. 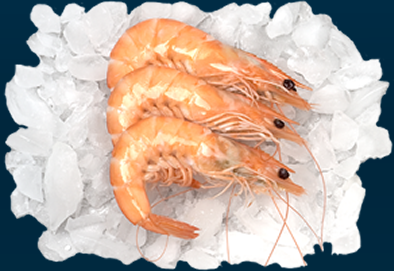 Second, these shrimp are never frozen; they are harvested, packed on ice, and sent to the restaurant fresh. This is great, considering that it’s becoming harder and harder to find unfrozen wild shrimp due to years of overfishing. The third aspect of their business that differs is that the shrimp are farmed completely indoors without overexposure to sunlight, which happens to most farm-raised shrimp. This allows the shrimp to be free of mercury so they don’t have a metallic aftertaste. 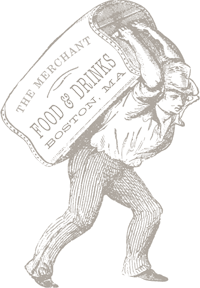 So come in to The Merchant and see if you agree that these are the best shrimp you’ve ever had, and support a new local business in the process… it doesn’t get any better than that!